During the life of your project, you can change the ivy.xml file or maven pom.xml and change its configuration. 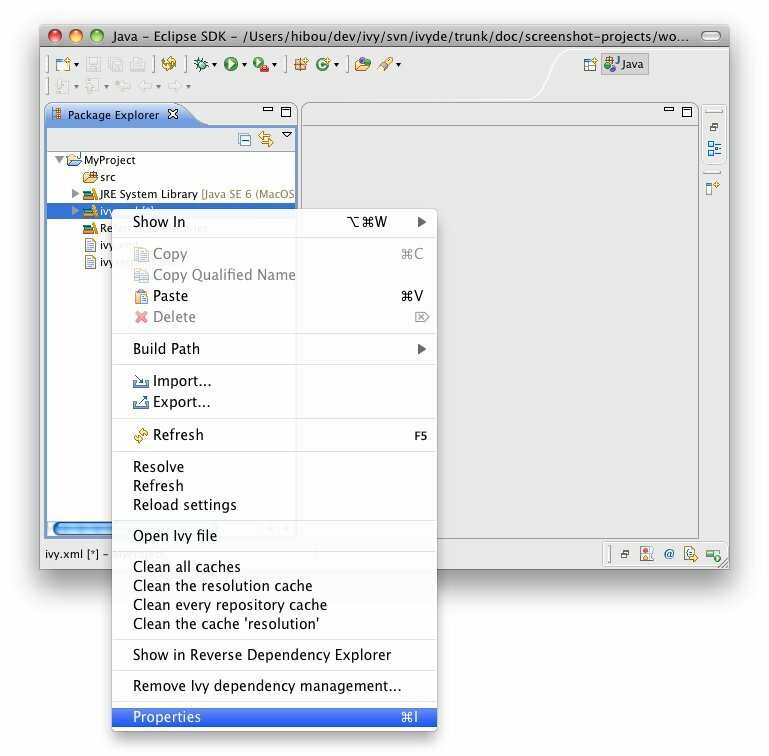 open the build path configuration dialog, select the "Libraries" panel and select the IvyDE classpath container. 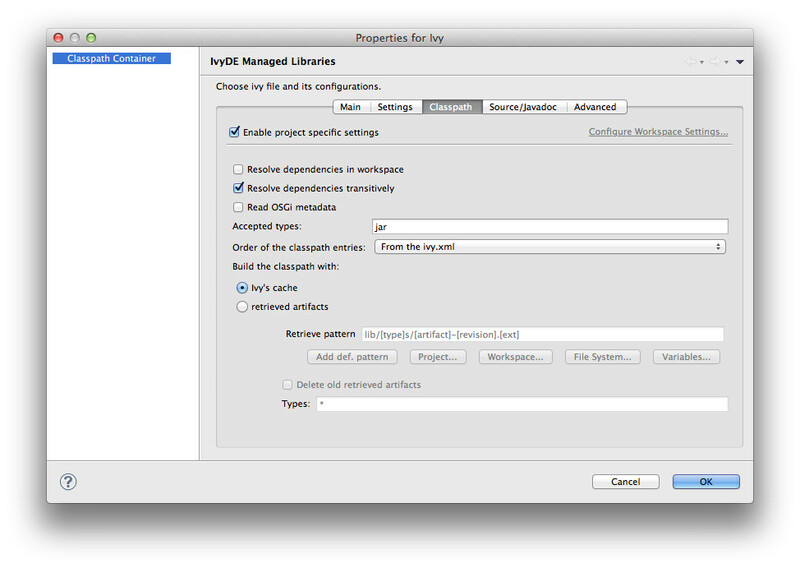 then click on the "Edit" button: the IvyDE classpath container configuration dialog will pop up. This is particularly useful when Eclipse hides the empty classpath containers (since Eclipse 3.3). When the container is empty, this is the only way to trigger a resolve on this project. Apache IvyDE, Apache Ivy, Apache Ant, IvyDE, Ivy, Ant, Apache, the Apache IvyDE logo, the Apache Ivy logo, the Apache Ant logo and the Apache feather logo are trademarks of The Apache Software Foundation. Eclipse and the Eclipse logo are trademarks of Eclipse Foundation, Inc. All other marks mentioned may be trademarks or registered trademarks of their respective owners.